Does your business offer products to consumers? If so, do you currently have a recall management strategy in place in the event of a recall? According to Statista, the Consumer Product Safety Commission fined at least 130 companies between 2006 and 2017 with civil penalties for product issues. To help your business avoid liability claims, negligence, and financial loss, it’s important to know how to manage product recalls BEFORE a recall happens. Planning is one of the best things you can do to properly prepare and handle a product recall. You can start the planning process by ensuring that all your staff is equipped to address a recall. Along with your recall management plan, it’s wise to open a Product Recall Insurance policy. This policy will reimburse your business with any financial loss suffered during a recall. If your business provides products that can potentially cause bodily harm and/or injury, you may also want to consider Product Liability Insurance. This insurance will provide coverage if your product causes bodily injury and/or property damage. Announce the recall as soon as possible and avoid any delays with getting the information out to the public. Control the message behind the recall to prevent others from gaining control of what is said about your product recall. Work with outside parties that are affected by your recall to keep everyone in the loop. Depending on your product, this may include parties such as the FDA and various supply chains. 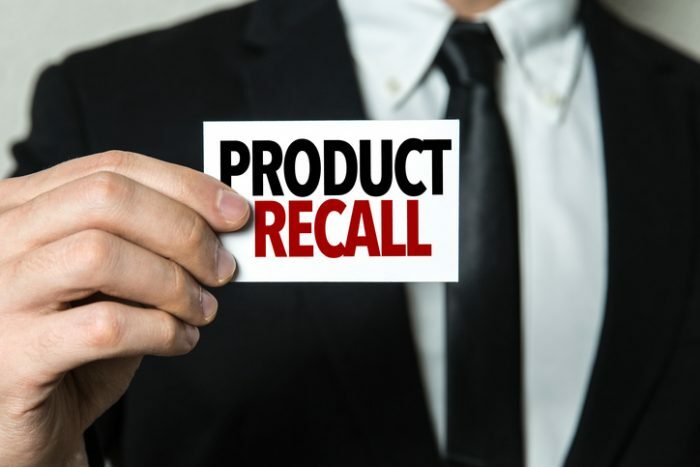 Product recalls can affect both small and large businesses. We know these tips will help your business to create a recall management strategy that will help prevent potential financial loss and liability claims.